Welcome to our Wolf Creek Lake cabins! 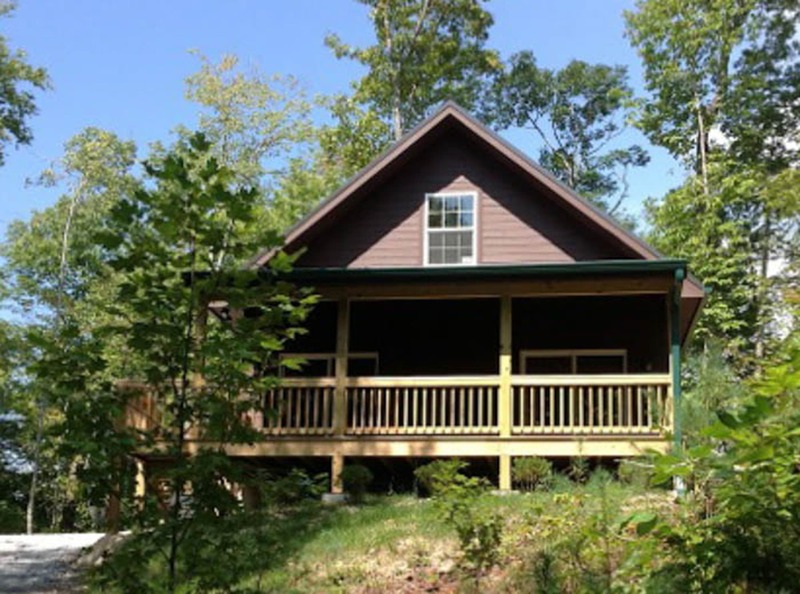 If you need more room, our family has now completed construction on all THREE cabins at Wolf Creek Lake in Tuckaseegee, NC. Each cabin houses up to six guests, rent one or all three! We are directly across the road from the lake and a beautiful waterfall, Paradise Falls, is within walking distance. Nearby hiking, swimming, boating, fishing. Rented by owners for personalized service and attention. Boat & RV parking inside our gate. Sleeping arrangements include downstairs master bedroom, loft bedroom with twin beds and twin cots, and this cabin also has a pullout couch in the living room. Satellite TV, free WiFi, DVDs and player. Full kitchen with dishwasher, refrigerator, microwave, ice maker, stove, clothes washer & dryer. Gas fireplace, central heat and air conditioning. Games, puzzles & books are provided. Roomy front porch with plenty of seating, propane grill with propane included, beautiful views. Wolf Creek Lake public boat access is only 500 yards across the dam and Bear Lake public boat access only 20 minutes away. Shopping in Sylva is 45 minutes; Cherokee is approximately an hour.